Picking up where I left off last time, here’s a look at more multi-disc archival/reissue sets. The Posies made a lot of great music before and after their second album. But I’d argue they never made anything as scintillating as Dear 23. The duo of songwriter-singers Jon Auer and Ken Stringfellow came out of the gate in 1988 with Failure, but by the time of their second album (their first on a major label), they had expanded to a full band. And that band’s musical approach wedded a rock foundation to their chiming, stick-in-your-memory, ear candy songs. Highlights are so numerous that singling out a few songs does a disservice to the others. Still, “Golden Blunders” is pure pop perfection, with a lump-in-the-throat vibe and heartfelt lyrics that stand head and shoulders above most of what passes for power pop. Few pop songs are shot through with as much melancholy yet remain musically uplifting. And “Apology” raises the stakes even farther, with a searing, heart-rending melodic ballad. The track’s wide-screen production (courtesy of John Leckie) is perfectly suited to the material. 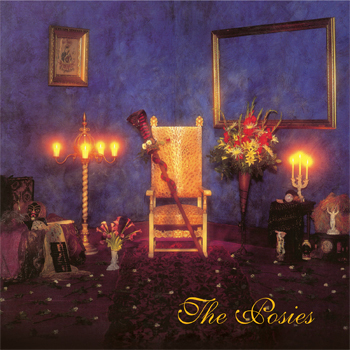 The group previews its future harder-rocking direction on tracks like “Help Yourself.” Elsewhere, the subtly jazzy “Mrs. Green” sounds like a cover of a lost Abbey Road track (or, if you prefer, an unheard Jellyfish tune). And the album closes with the shoegazey squall of “Flood of Sunshine.” A stunner, through and through. The Omnivore Recordings reissue adds a staggering 28 bonus tracks to the original 11-song album. I won’t waste time discussing the trope/canard of the critically-acclaimed Exile in Guyville being a song-by-song answer to Exile on Main Street (though the liner notes of this expanded reissue get well into the subject) other than to point out that the gambit did help get a fine album noticed by many who might have otherwise dismissed it. This new set celebrates the quarter-century(!) mark for Liz Phair’s audacious debut, and adds context by way of essays, interviews and two discs worth of earlier recordings, long known as the Girly-sound tapes. Those home recordings show that even though producer Brad Wood helped her refine and sharpen her musical ideas, Phair had a pretty damn clear idea of where she was headed long before getting into a proper studio. Many reviewers make the point that Phair would never top (or perhaps even equal) the quality of Exile in Guyville; whether that’s true or not, 25 years later the music holds up. “Never Said” in particular sounds as much of a poke-in-the-eye of macho rockers now as it did in 1993. 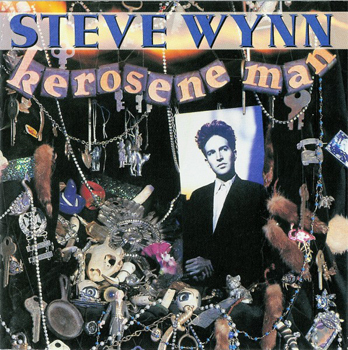 Wynn’s 1992 album is a bit more commercial-leaning than Kerosene Man (discussed below), but that’s not to suggest in any way that it’s a lesser album. Wynn doesn’t compromise his aesthetic vision, and he uses many of the same players (R.E.M.’s Peter buck helps out on five tunes). If Television had somehow been able to reconcile Verlaine’s jammy tendencies with Lloyd’s pop sensibility, they might have made a record like Dazzling Display. (But they probably wouldn’t have employed a horn section as Wynn does on “Drag.”) The songs are perhaps even more consistently tuneful and memorable than the near-perfect Kerosene Man. 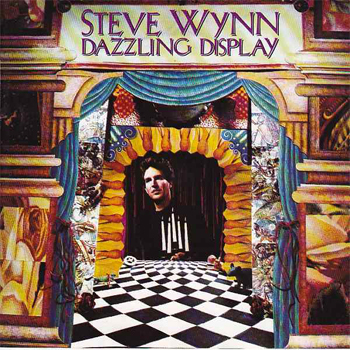 The creamy, shimmering vocal harmonies on “Tuesday” (courtesy some of the very best in the biz: Howard Kaylan, Mark Volman, Vicki Peterson, Susan Cowsill) may come as a surprise to those who only know Wynn from his Dream Syndicate days. In a just and fair world, this is the album that would have made Steve Wynn a household name. Lucky for us he’s remained at it, as both a solo artist and leader of the Dream Syndicate. 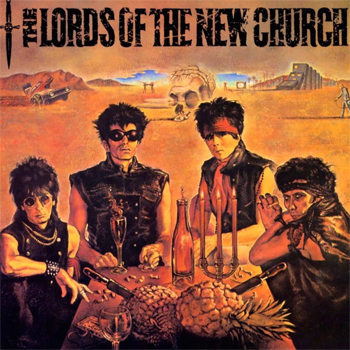 This album has a strong personal resonance for me. At the time of the album’s release, many of the tracks on Kerosene Man were added to the playlist at noncommercial WRAS-FM, then then-10,000-watt radio station of Georgia State University in downtown Atlanta. I was going through a difficult time, with my then-wife pregnant and me temporarily out of work. When I finally picked up some off-the-books employment, I brought a portable radio to my windowless office in an industrial building. And that’s when and where I heard songs like the chiming “Tears Won’t Help,” the soaring “Carolyn,” the shoulda-been-a-hit “Killing Time” and the wonderfully nasty “Something to Remember Me By.” The more downbeat tracks were deeply atmospheric and moody, suggesting a more haunted Chris Isaak. This expanded reissue of the 1990 album adds the contents of a six-song “authorized bootleg,” that’s (in places) very much of then then-trendy unplugged variety. “Graveyard Train,” however, is a seething electric blues-rocker that arguably improves on Creedence Clearwater Revival’s original.